He has solid at-bats and doesn’t swing at junk, Conforto said. It wasn’t so long ago that New York outfielder Michael Conforto was a rising prospect for the St. Lucie Mets — 2015 to be exact. That’s the year Conforto went from hitting .283 in his first 45 games with St. Lucie, to finishing his last 56 games with New York and batting .270 — .333 with two home runs in that 2015 World Series against Kansas City. 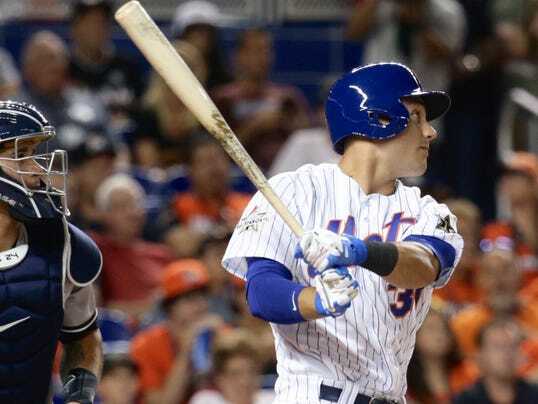 Tuesday, Conforto was the lone Mets’ representative in the 88th Major League All Star Game at Marlins Park in Miami. Prior to his first All Star appearance, Conforto offered his thoughts on another up-and-coming St. Lucie outfielder — Tim Tebow. Michael Conforto took the road less traveled to the All-Star Game. Conforto and Tebow were in the same lineup just last Thursday, when Conforto went 3-for-4 with a double, run scored and RBI in a rehab start with St. Lucie.